Meruelo Studios features two production stages. Studio B is nearly 4,000 sq feet (62'x57' with 20' ceiling and 18' 4x4 grid). The former GAM Arts Center rehearsal hall features outstanding acoustics suitable for the most demanding production. Studio A is a working news and talk show venue that can be used for quick turnaround productions and green screen shots. 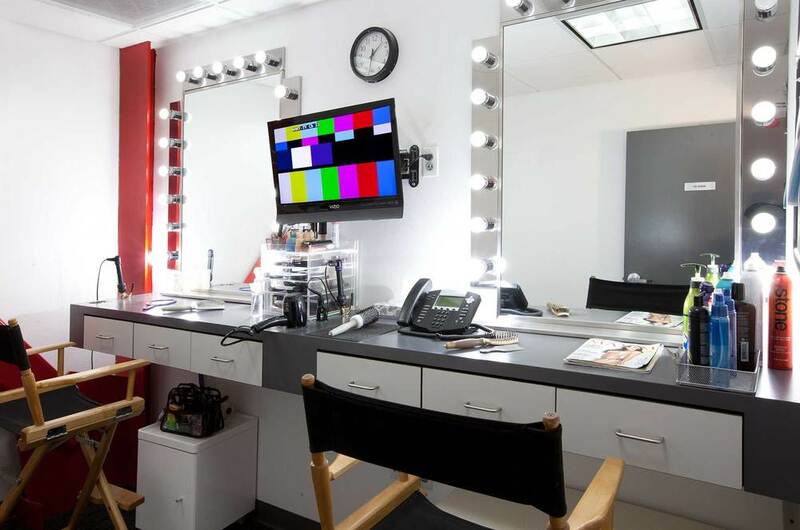 Amenities available include make up and dressing rooms (below) and production office space.